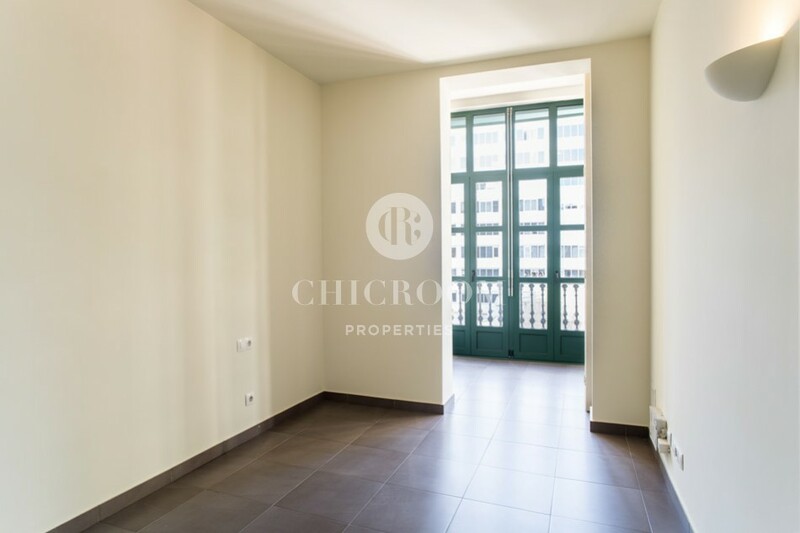 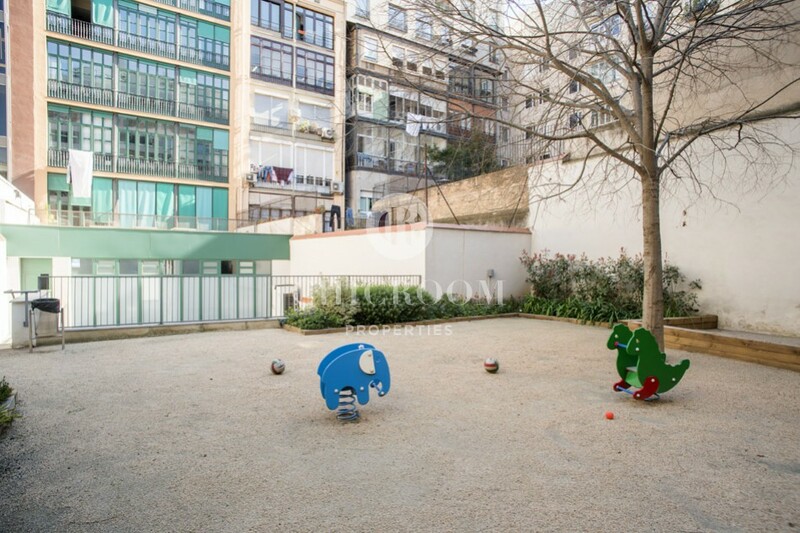 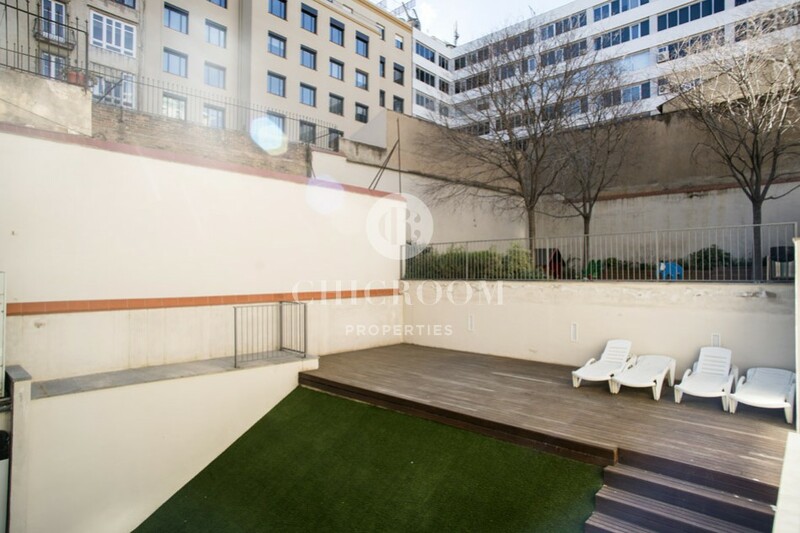 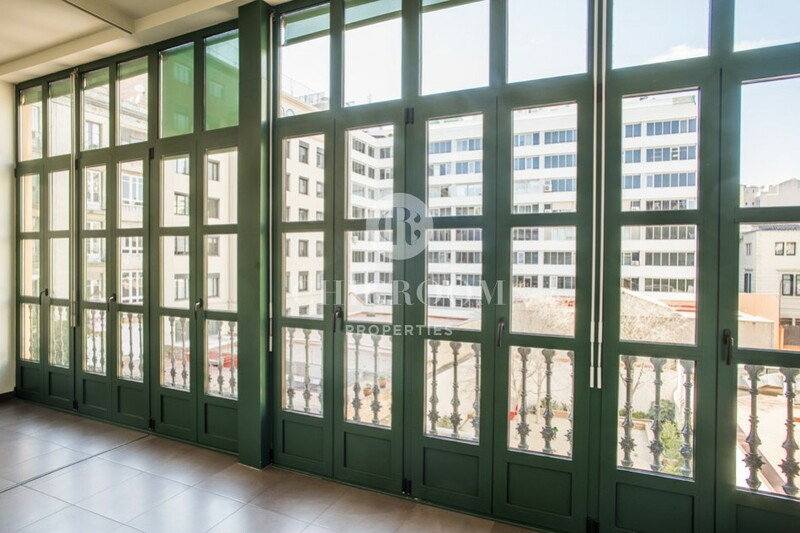 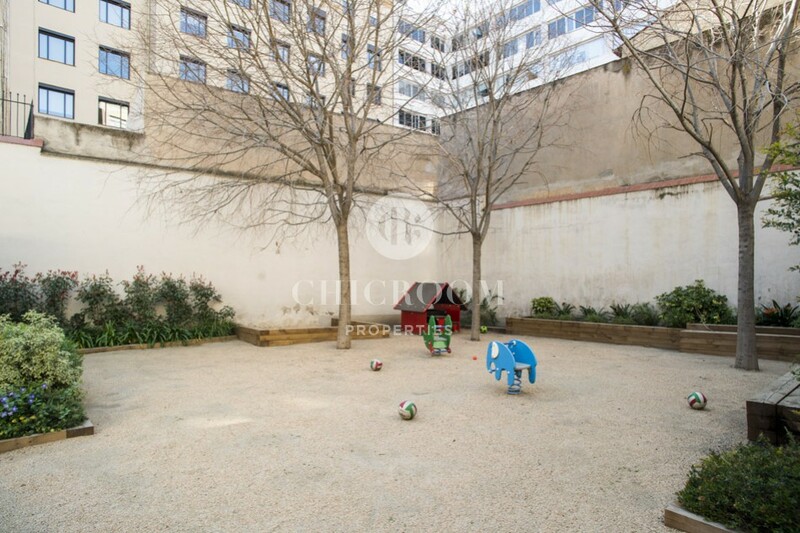 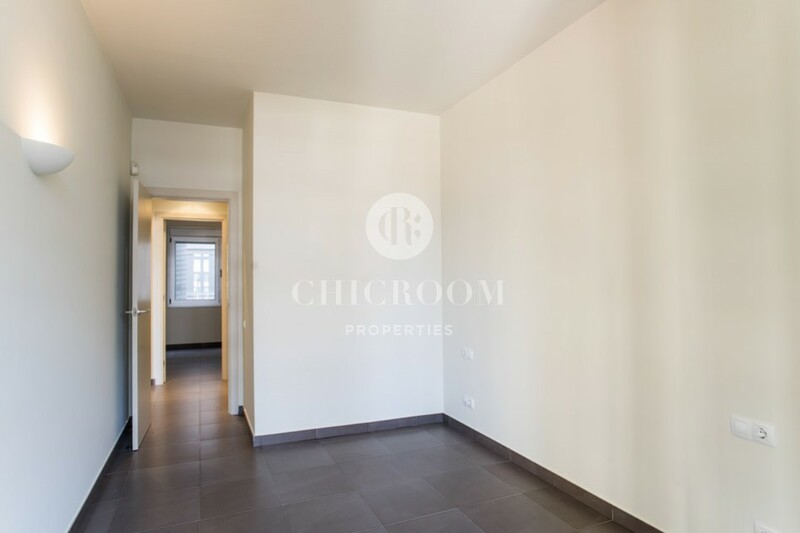 ChicRoom Properties has this spectacular unfurnished 2 bedroom apartment for rent in Eixample, located in a gorgeous 19th-century building in Valencia Street. 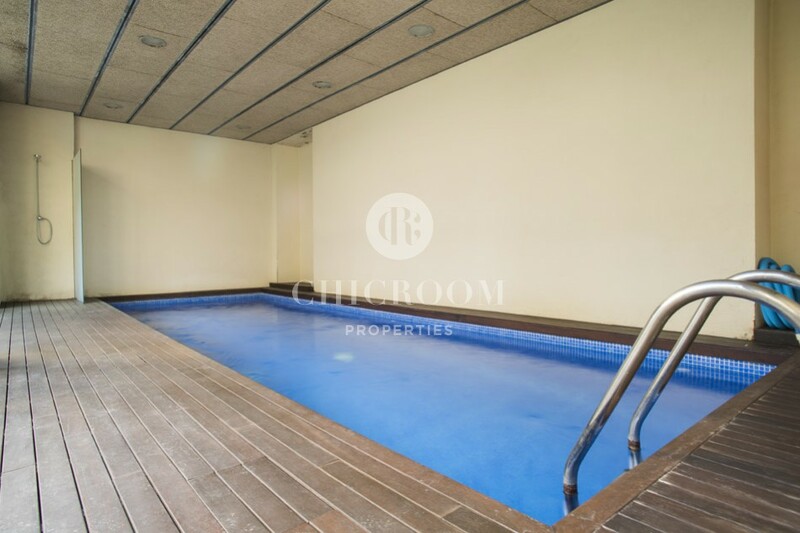 It has been completely refurbished to combine modernity and tradition, conserving the characteristics of a traditional property whilst being brought up to date with the addition of tasteful ornaments. 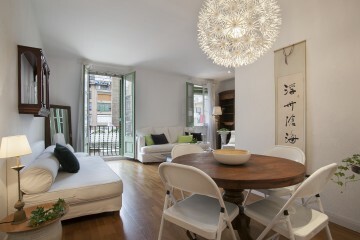 The apartment consists of a large room used for the living room and the dining room with an area of about 16 m2. 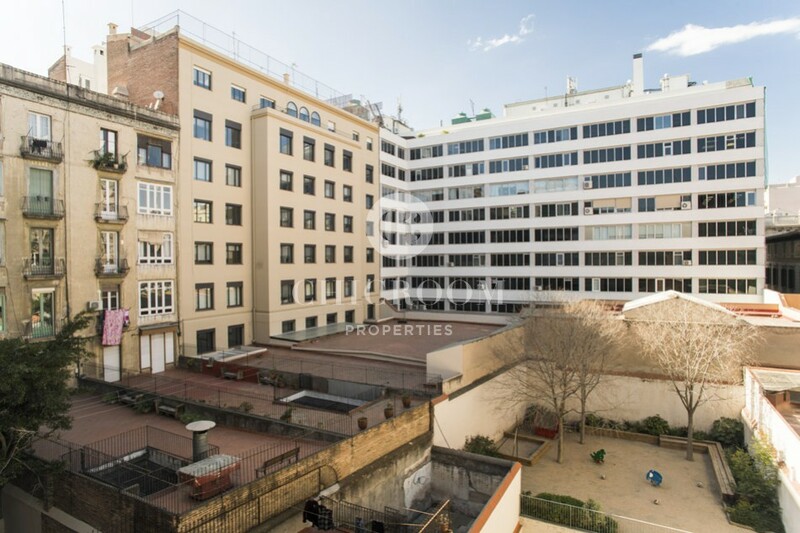 Next to it, you could find the largest double room. 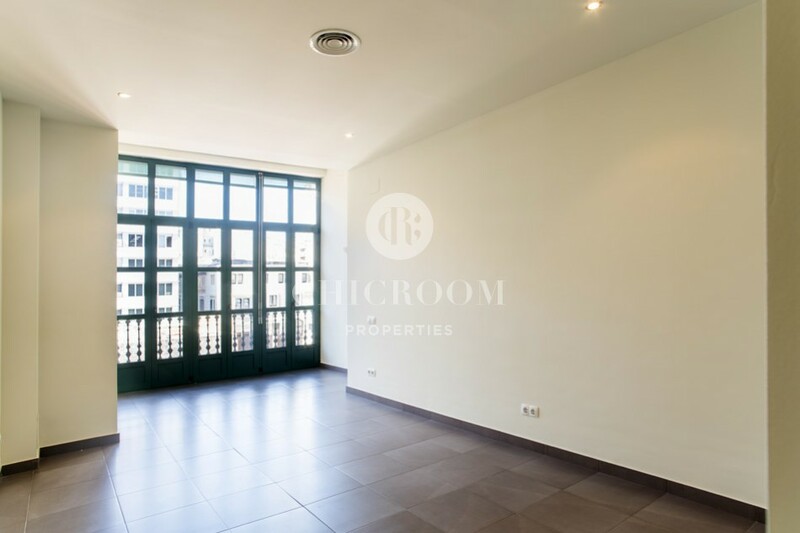 Both rooms are connected to the conservatory which provides a lot of natural light thanks to ample double-glazed windows with views over the inside patio and offers the perfect space for relaxing. 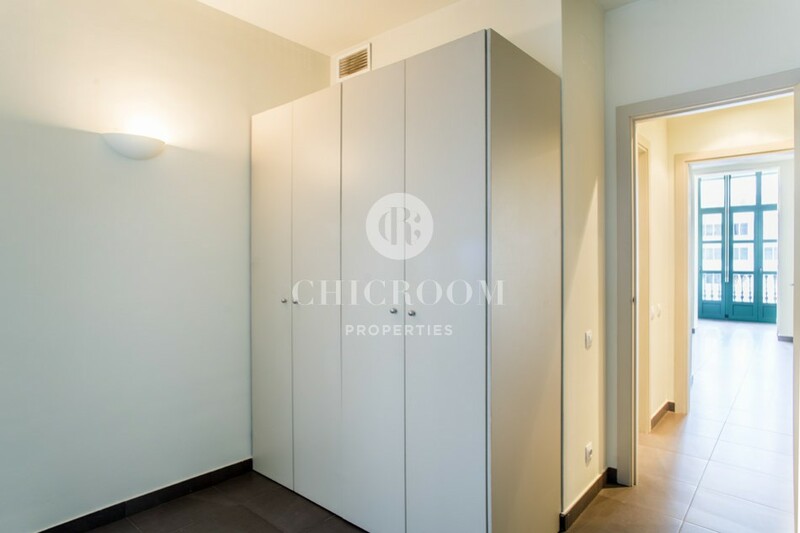 A sliding door separates the bedroom from the living area for more intimacy. 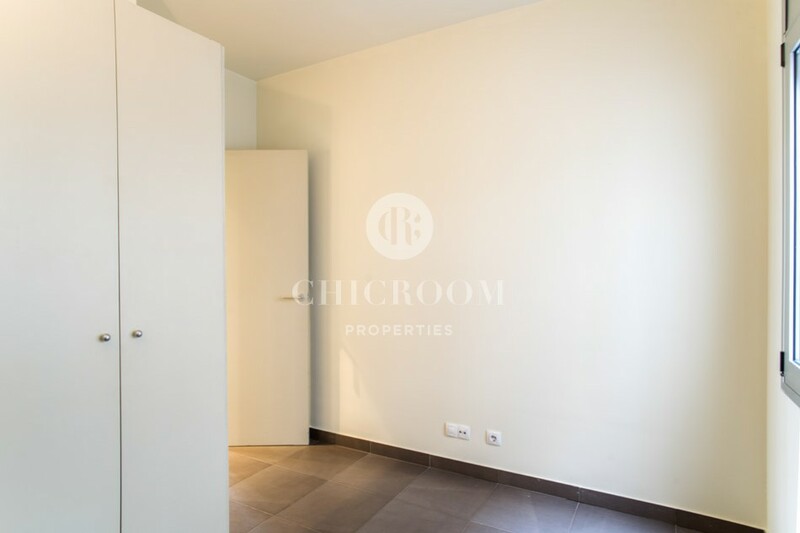 On the side, you will find the other double room with a built-in wardrobe and an interior orientation. 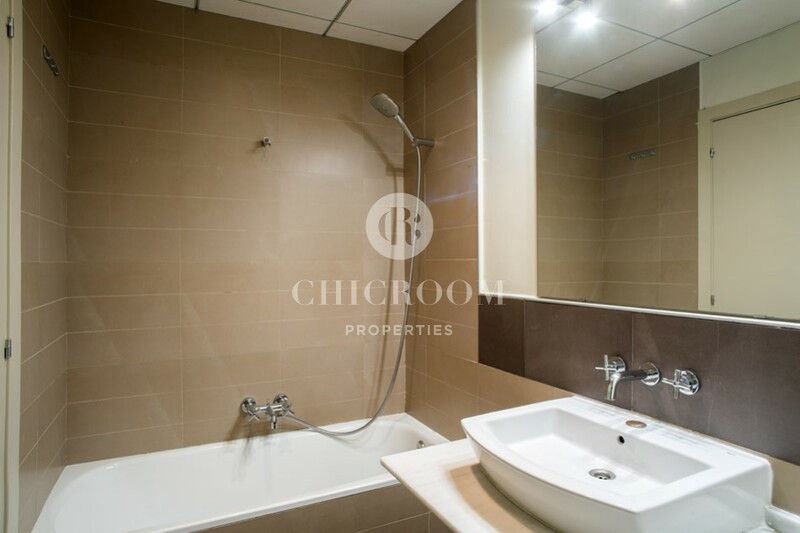 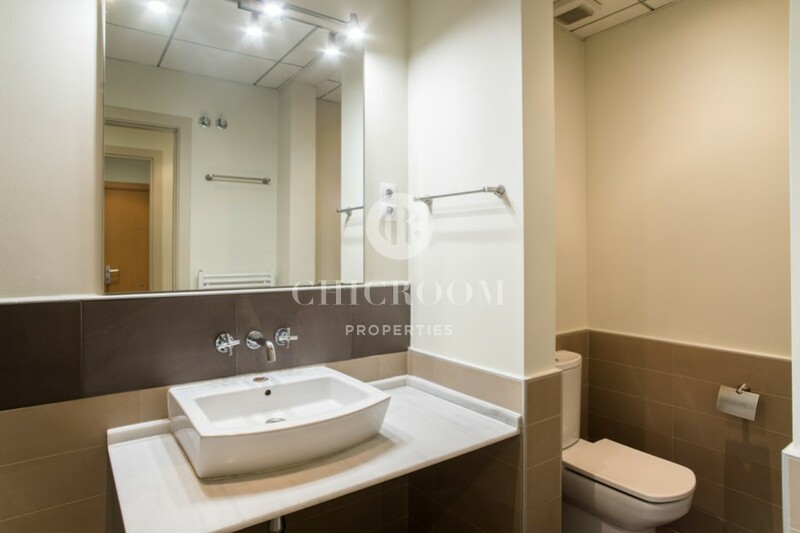 The bathroom is situated next door and comes with a WC, a sink and a bathtub with shower and is decorated with stylish tiles. 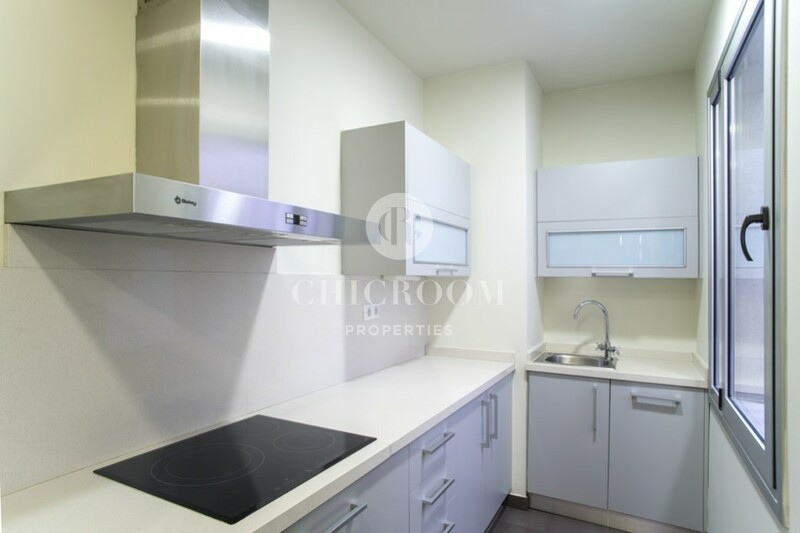 The kitchen is fully equipped and comes with top-quality household appliances, which makes it the perfect space for showing off your master chef skills. 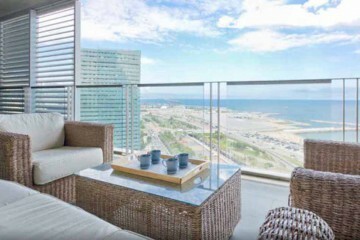 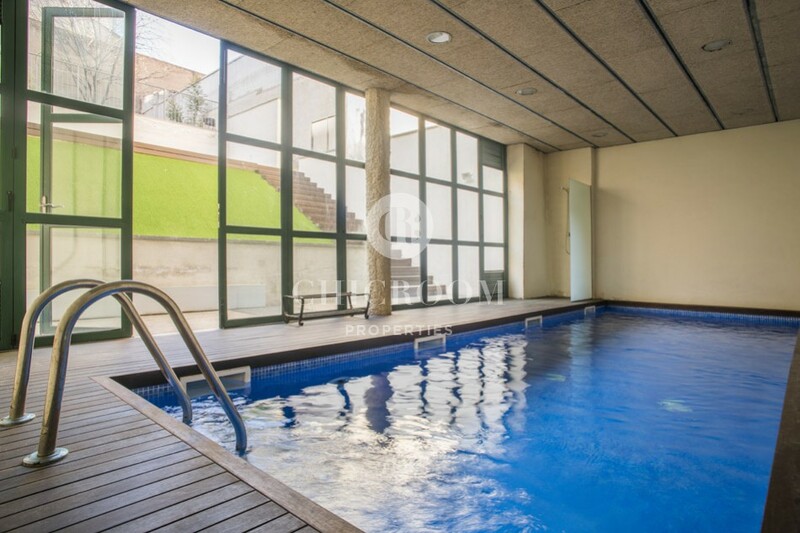 The building complex offers you also an indoor communal swimming pool and patio with a green zone. 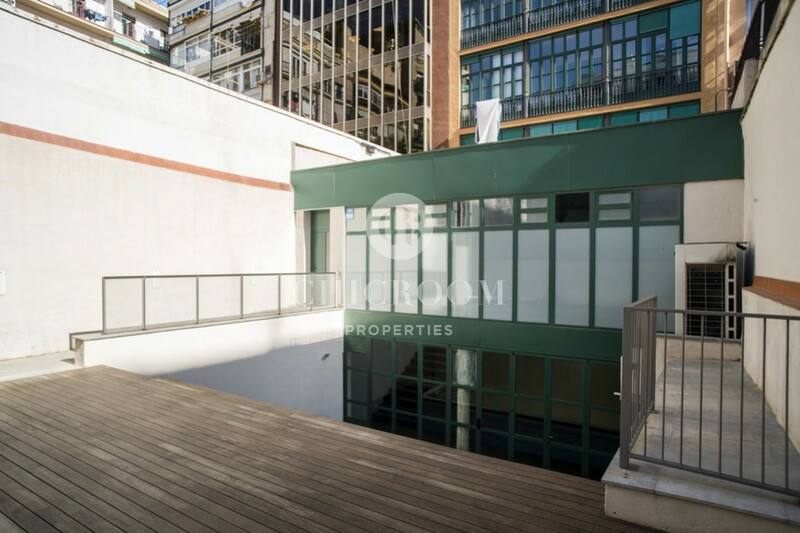 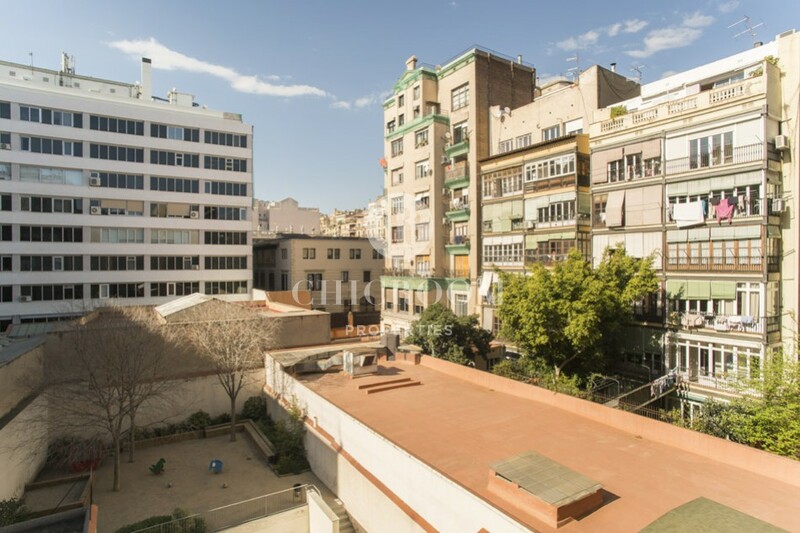 The property is situated in a stunning modernist building, in the heart of Eixample, just a few steps from Passeig de Gracia. 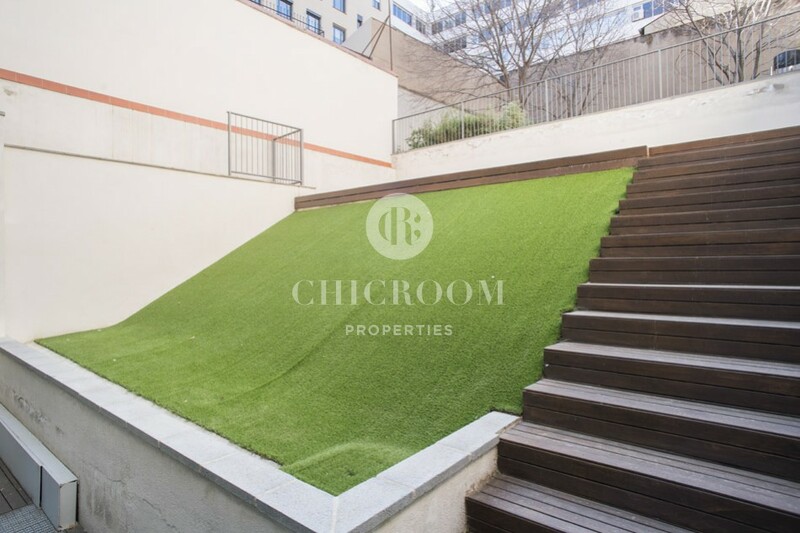 This elegant neighbourhood has all the facilities you need, along with plenty to do regarding entertainment, bars, restaurants and shops. 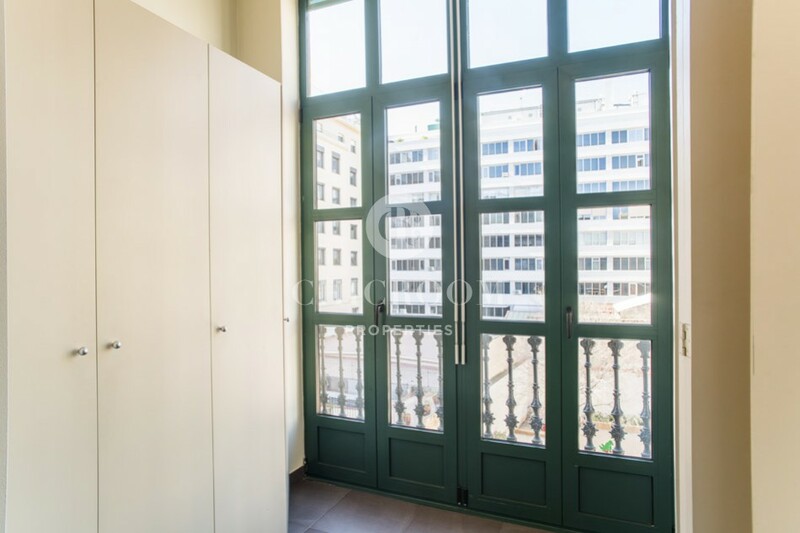 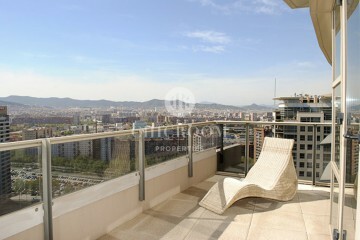 The closest metro and train station, Passeig de Gracia, is nearby, providing access to the L2, L3 and L4 lines. 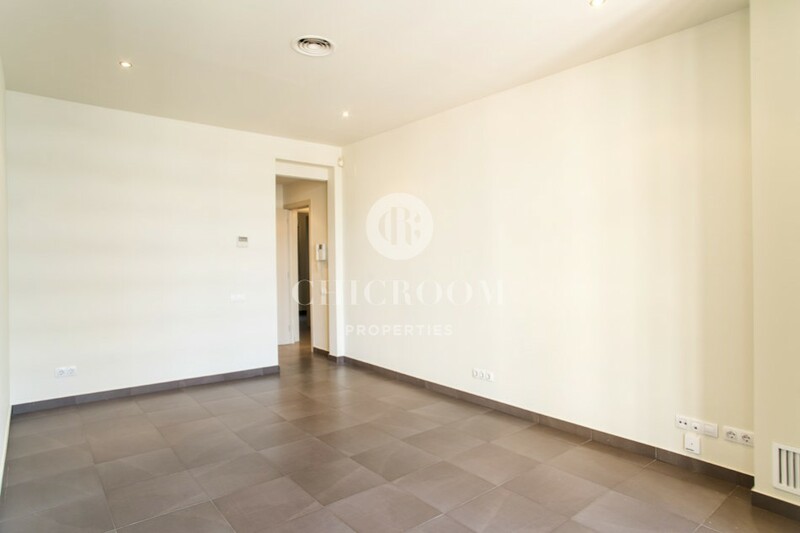 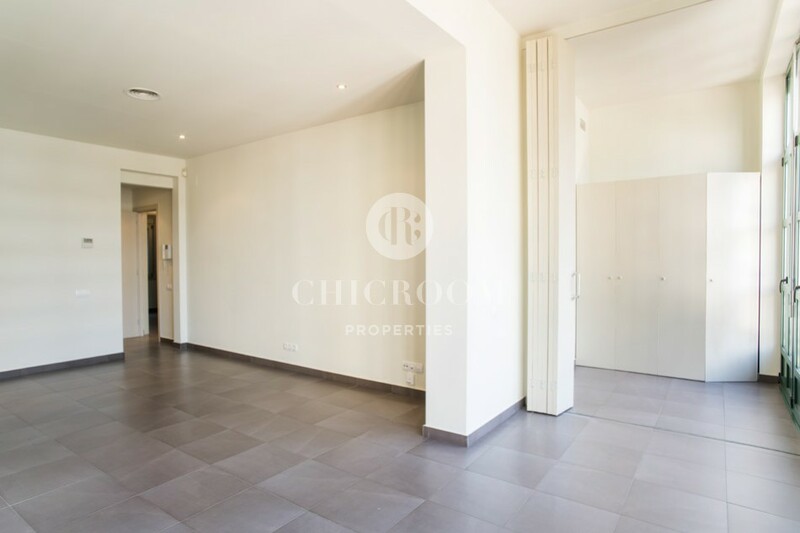 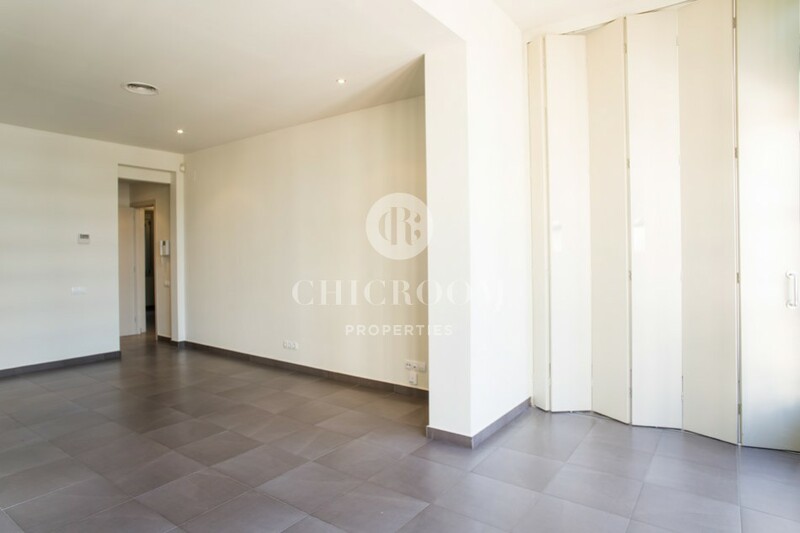 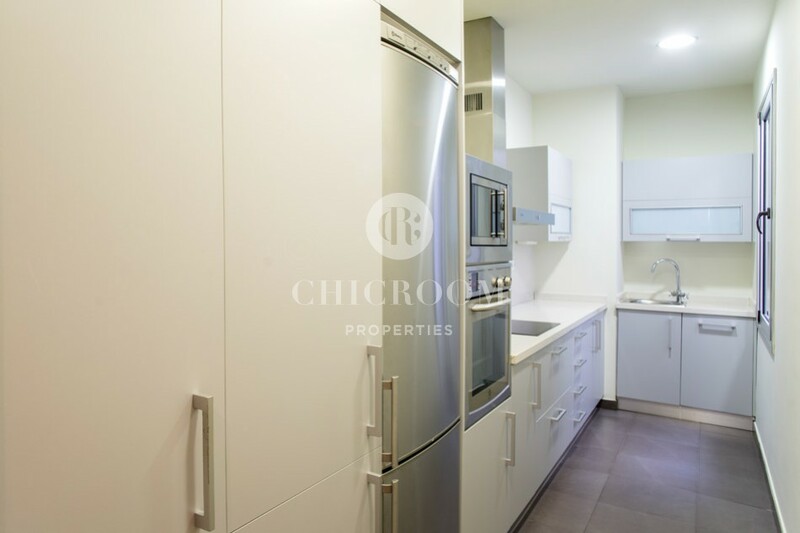 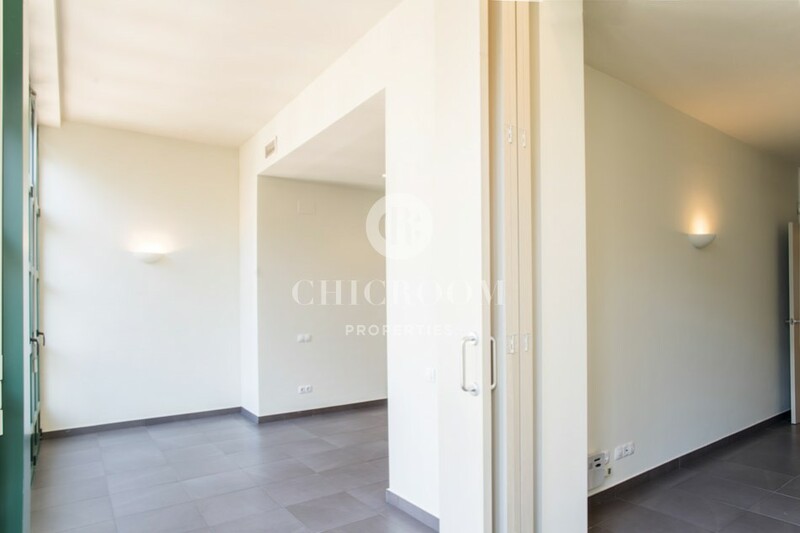 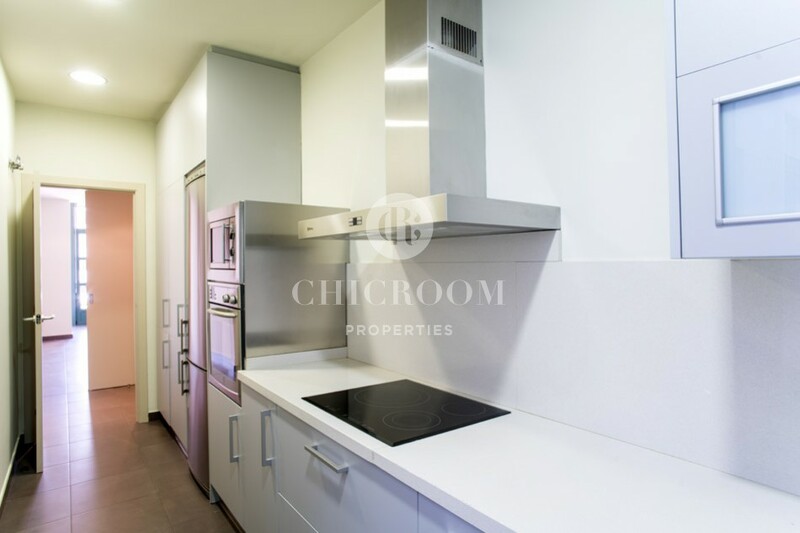 This unfurnished 2 bedroom apartment for rent in Eixample is a great opportunity to seize; therefore contact us now to organise a visit as soon as possible.